It is understandable that one may wish to put their past behind them once they have completed the requirements of their case. Unfortunately, having a criminal record can hinder one’s future prospects. Having a conviction can mean not being able to pass a background check, difficulty gaining employment, disqualification from some professional licenses, and difficulty with gaining housing. Fortunately, Texas has laws and procedures in place which help some people to put their past behind them. The first of these laws allows the defendant to gain an “order of non-disclosure” or to “seal” their criminal record. The second allows for an “expunction” of one’s criminal history. It is typically in one’s best interests to take advantage of these options. Dan Dworin is an Austin criminal defense attorney assisting those who are trying to move on from their past. If you need assistance with a past criminal record then contact our office today to schedule an initial consultation. The charges were dismissed upon the completion of the supervision period. 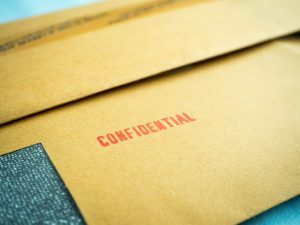 In some cases, records of a misdemeanor conviction may also be eligible for non-disclosure; this depends on many factors and we will be happy to talk to you about whether an old misdemeanor conviction could be sealed. If each of these requirements are met then a defendant may file for an order of non-disclosure, in some cases immediately after the completion of probation, and in others after the passage of an applicable waiting period. It is important to determine whether one is eligible to seal their record and the procedures for requesting the non-disclosure order must be followed. Otherwise the Court may deny the request. It is best to have a lawyer familiar with handling such matters. Dan Dworin has been practicing law since 1995 and is certified by the Texas Board of Legal Specialization as a specialist in criminal law. He will use your initial consultation to help you understand whether you are eligible for an order of non-disclosure. If you meet the requirements then he will gather the necessary documents from the Court and file your Petition. Should a hearing be necessary then he will attend it on your behalf and ensure that proper procedures have been followed. Once the order has been granted then Dan will assist with disseminating it to the proper governmental agencies so that your record is “sealed.” Our firm recognizes that people need assistance with getting a fresh start. Our Austin attorney is here to help. Contact us today. There are instances in which an Austin resident may have been arrested but had their case dismissed, with no plea to any other charge arising out of the same arrest. If your case was dismissed then, in most cases, you are eligible for an “expunction” of the records of that arrest. Successful completion of a pre-trial diversion program, which exist in Travis, Williamson and Hays Counties, can in many cases make a defendant eligible for expunction. An expunction is a step beyond an order for non-disclosure; while an order for non-disclosure will “seal” the record so that it cannot be found by the public, an expunction will erase the record and make it as if it never existed. If you are eligible for an expunction then Dan will assist you with the process. Our lawyer also serves the cities of Rollingwood, Round Rock, Elgin, Jonestown, Manor, Bee Cave, Lago Vista, Sunset Valley, Lakeway, Creedmoor, Georgetown, Cedar Park, Leander, and San Marcos, Texas.